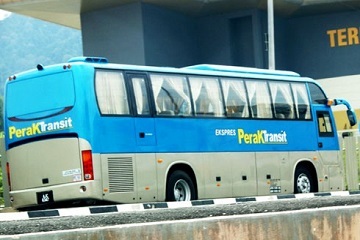 Perak Transit is one of the famous express bus in Perak, Malaysia. 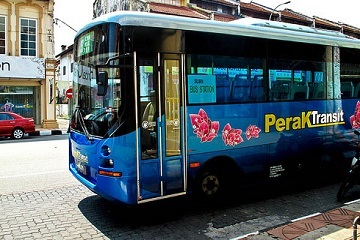 Perak Transit offers one the safest and comfortable bus journey to various cities and towns within the state of Perak, second largest state in Peninsular Malaysia. 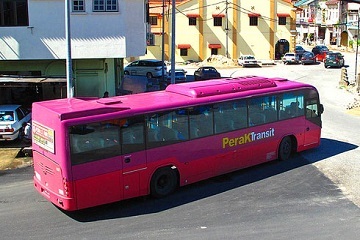 Some of Perak Transit famous bus routes includes bus from Lumut to Sri Manjung, to Sri Iskandar and then to Ipoh Amanjaya and lastly to Ipoh Medan Kidd bus station. No. 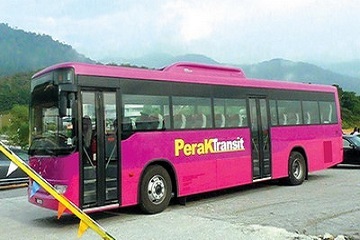 1, Persiaran Meru Raya 5, Meru Raya, 30020 Ipoh, Perak. Kaunter 2, Stesyen Bas Lumut, Lumut. Kaunter 1, Hentian Seri Iskandar.